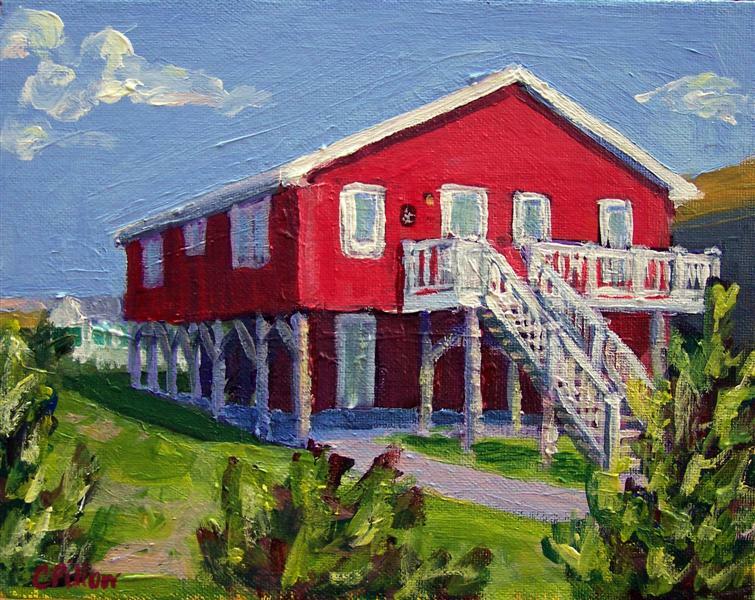 This classic Outer Banks cottage is our cousin Elliott's cottage in Kill Devil Hills, NC. In true Virginia Tech form, it's painted "Hokie Red"! I love the contrast between the periwinkle sky and the red of the house. Great painting. My daughter graduated from VA Tech. I will be forwarding this on to her. Where's the orange?? Thanks for sharing. Brings back great memories. That is so great! I am sure Ett loves it!!!! !